There are somewhere between 2 to 3 million applications available for mobile devices, depending on the software used to purchase. Still, how are you supposed to make yours stand out from all the others? You may need to expand your business reach and marketing efforts. But, much of your success in a mobile application store will come down to your mobile application design. This is the look and feel of your application. It’s what gets a user’s attention and guides them through your mobile experience, too. To make the best design possible, keep these ten things in mind. Don’t try to tackle your application all at once. First, start with the foundation. Understand no matter how far a user scrolls or how many tabs they can have, an application is all about the grid. At the end of the day, it’s about what is right in front of someone on their screen. This goes for a big, wide screen (like one on a tablet) to a standard, regular screen, like that of the latest iPhone or Android. 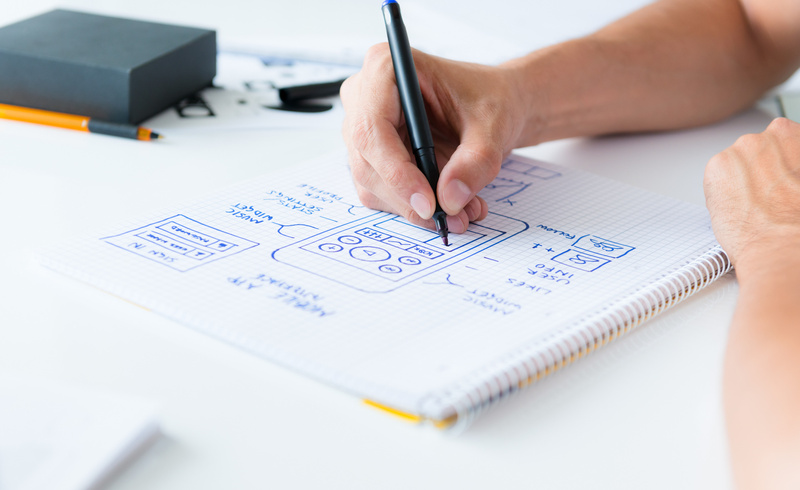 Once you understand that all mobile application design comes down to the grid, you can start to make an app your own. Begin adding your touch with the use of your brand. A brand is everything from company colors to values and messaging. It’s what users associate with your logo and products, or just the name of your company. Try to make your application design somewhat consistent with your website, social media presence, and print marketing materials. For the sake of diversifying your offer and being interesting, these shouldn’t be a perfect match. But, the consistency will help tie your presence together across all platforms. It also helps if you decide to expand the brands you own or services you offer, as companies like Kybotech have done. Always remember, the purpose of your brand is to serve the user. This goes for all aspects of the business, including mobile application design. Think of what will make your application as engaging and easy to use as possible. There are many factors that go into this, ranging from the color scheme to the load times to the commands used. Everything has to come together just right to create an experience that goes above and beyond for your customers. Speaking of all the details serving the user, let’s talk about color. The main colors will be easy to decide. Put simply, they should be your brand colors. If not, either stick to a neutral foundation, like white or black or use something similar to what is already associated with your brand. Bold, bright colors are making a big splash in mobile application design this year. Try a few contrasting tones or interesting textures and see how these options feel. Whatever your color choices come down to, don’t forget to add some other visuals. Contract a photographer to take high-resolution pictures of the images you want. If you’d rather stick to digitally-made visuals, hire a graphic designer. Have the professional you choose work closely with your mobile application design team. Are you a design team of one? Great – this allows you to better bounce ideas off your photographer/graphic artist. You can communicate with them directly to create a look that is out of this world. Colors and graphics are what catch your audience’s attention. But, it’s the user interface, or UI, that keeps people engaged with your application. A mobile application interface is the look and feel of what you’ve created. It is how users press buttons to make a command. This should feel natural, almost intuitive. Think about this as you create drop-down menus, lists, and more. UI works best when it is made with UX in mind. UX is the user experience. This is the back-end part of mobile application design that creates what users see. UX is the map of your application and the systems used to move users from one section or area to another. It should be intuitive as well. But, it should also be approached from a practical standpoint. Think of what makes the most sense when setting up the different pages of your application. There are things that look and feel like they make sense, and things that should pretty much be common sense. When it comes to mobile application design, a responsive design is common sense. Being responsive means you’ve made the application to fit any size screen. Remember the principle of the grid layout? Responsive applications know how to adjust to different screens while keeping the grid intact. Plus, a responsive design approach can improve your digital marketing performance. This is the case when you make your website design responsive. When you make a new product or you’re getting ready to launch a new campaign, you test it. The same goes for your mobile application design process. Testing guides you in working out the glitches along the way. It provides insight into how well your UX, UI, and overall branding efforts are coming together. Right when you think you’ve created the final product, test again. Try to get feedback from real customers if possible. This will help identify what needs to be improved before taking your application to market. The last thing to remember when designing your application is that it is not a one and done process. You will likely have to test and alter it again somewhere down the line. This is because the world of technology is always expanding. Even if your company is at the top of your industry, there is some sort of update that will ask more of your application. You may have to change your color scheme or improve your UI. It all depends on the shifts in trends and the rising demand for certain design aspects. Stay up to date so your app stays on-trend. Another thing to consider when designing an application is how much you might enjoy the process! In fact, if you become truly passionate about it, you can make a career of it. Some people even do this from the comfort of their own home. To find out how to make money with mobile application design, click here.